It’s taken me 89 years, two months, and 26 days to figure it out. But Lord help me, I have figured out what no one told me all these living days. I don’t blame the people in my early life. My grandmother’s folk (she had 14 siblings) spent their lives just surviving. The earlier generations didn’t have time to figure out what was real, because life was just too damned hard. But we technocratic, soft-skinned, thin-skinned spoiled people of the 21st century – we have no excuse. We have toilets and warm showers and grocery stores packed with food. We have vehicles of all sizes and shapes to transport us anywhere; free education from 5 to 18 years; easy chairs to sit in and stare into our gas fireplaces just to ponder. No need to chop our wood and cook our meat on that fire. We just use it to warm our souls and ponder. Yes, to just think. Not that thinking helped me figure it out. The opposite, really. It was watching. Watching the other sides mingle and collide with us, tease and flirt with us, practically begging us to see See SEE! what’s really happening. To understand . . .
My 32-year-old granddaughter, Patrice, thinks I’m going bonkers. She laughs though when I use that word: bonkers. She says my language is archaic. In fact, she thinks I’m archaic. I decide to tell her, now, the real story. I open my mouth and whisper, because what I’m about to say is too damn important for my regular voice. Besides, I learned long ago that a soft voice attracts busy ears. I grab Patrice’s blouse and pull her toward me, her hazel eyes widening with surprise. I let out a “Bah!” Life is not here for the young. We elders should have more time . . . now that we see what’s going on around us. I bang my cane on the wood floor. Patrice flinches. “But the point is,” I point out, “we looked at the computer just at the right moment. Just when it showed us 1 11 11:11.” My heart flutters, and I lose my breath. These young people can be immensely trying. “Gran? Gran! Mom!” Patrice calls for her mother, my daughter, Grace. My first born. Maybe she’s the one I should tell, although at 55, Grace thinks she knows it all. But now, Grace is slapping me on the cheeks. I fade into the other realm. The realm right next to us that I’ve been trying to explain to my oblivious family. I’ll regroup and then try again. But wait. The world right next door, here, is warm and welcoming. I feel at 1, I mean, at ONE with myself. ← The End Is Actually Just the . . . I agree with Victo. Nicely done with this ONE, Pam! It make me wish (again) that I had learned more about my grandfathers’ lives. Both my grandmothers died when I was very young, but my grandfathers lived to their nineties. I feel the same way, Merril. I based the ‘Gran’ of this story on a combination of both my grandmothers, who died too young for me to ask the ‘interesting’ questions of life. Wow! I love this, especially the ending. I wasn’t expecting it! Wow, wow, wow. A good piece of writing. Excellent story! I just Skyped with my 88-year-old mom. I have learned to be patient and listen to every word she says. The elderly have more to say than we realize. Well done my friend. You’re so fortunate to be able to Skype with your mom, Darlene. That is wonderful! Yes, that’s the trick, I think. We need to sit back, stay quiet, and then see what the elderly share. It can be eye-opening. Nicely done, Pam. And sad…I did try to spend time with my grandmother (she lived to 103) but she lived a state away. Until she needed nursing home care, I called her every week. HER advice: Love makes life work. Don’t spend so much time worrying about your children, just love them. I have written down your grandmother’s advice and placed it nearby to read every day: “Love makes life work.” Brilliant and so so so true. THANK you for sharing your grandmother here. I’d say you got in some excellent granddaughter time with this special woman. How fortunate for both of you. (And the stop worrying about our children part – so difficult, but I believe she’s absolutely correct.) Happy Mother’s Day! Interesting point of view, Pam. I am rolling in ancestral history right now, clearing out a house dating from 1906, filled with memorabilia from 5-6 generations, many of the later ones I knew personally. The last “leaf on the tree,” as she tells it is 98 years old. A doer, she spent very little time on a rocking chair. I feel like I’ve gotten to know your Aunt Ruthie from your blog posts, and yes, I bet she never spent much time in a rocking chair, for sure. “The last leaf on the tree,” – sounds sad, and yet I imagine she said it realistically, not morosely. She is certainly a big strong branch, as are you! Beautiful, Pam. Just beautiful. Like the name Patrice, too! I always marvel when, like my mom, I look at a clock and it reads 11:11 or 4:44 or 12:12…..makes me catch the moment and reminisce about my mom. Love it, another Friday morning smile! Have a great weekend, Pam. Keep smiling your beautiful smile, Sharon. Happy Mother’s Day! 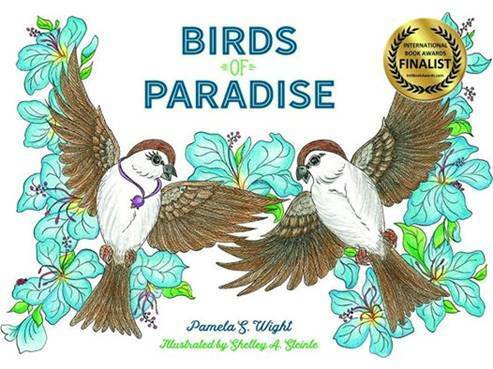 I could hear a poignant call within this story… magnificently conveyed Pam. Youngsters have their own perspective, molded by observations and encouraged by their peer group. The respect and care we give to our elders comes back to us. I just love it Pam, beautiful and so true. You really know how to get our attention. All my mom wanted in her last years was some good food and a visitor that would listen to her. Balroop2013 made a good point about the getting back what we are giving. Young kids want to be entertained, you have to get their attention. Years ago I took some story telling workshops , I get animated and personal when I tell a story. I ask for helpers. I ask them questions, what’s your favorite bird? I make compliments to kids that are good listeners. I bring hand puppets and other items . It’s hard to compete with television and video games. That’s got me chuckling! Good ONE. Reminded me of my oen grandmother. Such a beautiful piece of writing. Yes! We ARE all one. Excellent piece. I’m going to use this when I’m 89. Nicely done. Oh, so true Jacqui, May we all grow up to be like Gran and share our wealth of knowledge. And may we have people who will listen to us!!!! What a great story! I love this, Pam. My ex-husband was mesmerized by 11:11 on the clock so this rang a bell. I loved how I wasn’t sure that Gran was a reliable narrator. And then it became clear that there was the outside story and the inside story and how different they were. Beautiful writing! Huge compliment coming from you, Diana. I didn’t know whether to call this ‘speculative’ fiction? Not sure what that means, but I certainly was speculating here. I have received e-mails from friends near and far after this story posted, exclaiming, “YES! the 11:11 is important – I’m always thrilled when I catch it.” I’ll admit I’m not sure why, but I’ll also admit that I’m thrilled when I ‘catch’ it too. Who knows what goes on in the soul that losing it’s grip on “reality” or making it’s final journey. Your speculation was amazing, thrilling, mind-blowing, and I LOVED it. The pov was original and perfectly executed. Some introspection and contemplation I suppose is fairly common before we die- that is if we are cognizant and your character is/was in this lovely short story. I like how you write and about face at the endings of your flash fiction stories. Keeps the reader interested and reading to the end- in anticipation of what is about to happen. I like this one very much. I think you’re right about the rocking chair and the ‘ambiance’ it gives to a story. When I began this, I only knew I needed to include the words: rocking chair, watch, slap, whisper, and secret. And your story began with the prompt of ‘rocking chair.’ I think your comment at the end of your story is so true – wouldn’t it be neat to read (write?) a story in which the rocking chair pulls the characters along in some way…. Your story is just great Pam. So many emotions there and also spirituality. ONE. The silly numbers 111- and the One. The tension, frustration, worry between Patricia and her Gran, followed by such an unexpected ending. That’s a huge compliment from you, since I find your blog posts the most profound of all that I follow. I’m hoping Gran is about to go through her new ‘spring’ here with rebirth and color and light like you reflect in your last post. Pam, this fine short story held a very tender moment, sadly near the transition for Gran to the other realm. Too bad the granddaughter, Patrice, didn’t realize this was one of her last conversations. One of the most precious moments while Gran had tried to entrust her with a secret. Will the meaning finally sink in? But when did the word “bonkers” become archaic? Am I older than I think I am? YES! (Sorry, I answered your question in my head with such humor, I forgot to write it down until now). So, don’t go BONKERS about it….!!! Thanks for reading my “Gran” story, Bette. What’s your next school goal? Great piece. You had me sitting forward hanging on Gran’s every word. Well done! On the edge of my seat through the entire read Pam. Brilliantly written. My Grandmother lived to 96 and kept her wits to thelast. Feisty and flexible to change she loved reminiscing about the world changes she had seen. Thanks for taking me back to the memories of her. Again bravo for this piece. OK, where’s the LOVE button? lol….One to Infinity! One One One to Ommmmmm Ommmmm Ommmm to you, my ONEderful Kathy. Loved this and how the personality of Gran came right through. I truly believe that we’re all one too, but sometimes that can be easy to forget. I’m glad Gran figured it out! And Nana plays along, good-naturedly. But she has so much more to say. So now, I visit her alone. We sing all her favorite old songs. She sings in harmony as I play the piano. Oh my, I L O V E your Nana. She reminds me a lot of my mom, who unfortunately can’t speak much now, but a year ago, believe me, she told us all what she was thinking! No filters, and it was difficult at times, but truthful and sincere, for sure. Most didn’t want to hear her truth. Your Nana is SO fortunate to have you understand her soul. How frustrating it must be for your mom — and for you — that she is not able to speak freely now. And, yes, I believe you shared your mother-in-law’s thought when you commented on my post “the good old days.” We forget that it was “good” because people realized their interdependence due to real need.